All Homes currently on the market in Central Roseville. 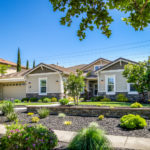 All Homes currently on the market in West Roseville. All Homes Currently on the market in East Roseville. All Homes currently on the market in Antelope. 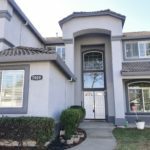 All Homes currently on the market in Citrus Heights. If you are shopping for a home you should want to know know as much about the area as you can. Even if you are planning to flip the house, you still want to know the basics of the community that you are thinking about purchasing in. North American Realty is the brokerage that provides this info. Community Pages-Homes For Sale-is updated every 15 minutes so you can rest assured our data is current. We will be providing detailed information about each neighborhood. This will includes such things as schools, crime report, jobs, age of homes, shopping, dinning recreational activity and even the history of the community. If there is something special about the town worth noting we will include it! Buyers are searching online before they do anything else. If you come upon our community page and see that we know a lot about the area, please contact us for more information and/or help in buying a home. In the future this community page will have a YouTube video from the agent specialists of each community explaining the benefits of that community. Even if you don’t actually hire us as your agent, if this information is useful, please share with friends and family about our community pages. We are locally owned and operated. Our agents live and work in the communities they sell. They are your neighborhood experts. 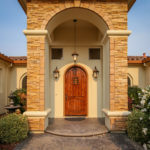 As a leading real estate agent in Roseville California, I am regularly asked about which California towns are best for raising a family. Roseville ranks at the top of that list, and I am not the only one that feels this way. Family Circle actually named Roseville as one of the “Ten Best Towns For Families” . Roseville is known for – affordable homes, good jobs, top-rated schools, open spaces and a lot less stress. If your looking for a free CMA then please fill out this form. Your privacy is important to us. Your information will not be shared, sold or exchanged with anyone else.